I don't like to turn my oven on in the summer time. My goal every year is to have an "oven-free summer". 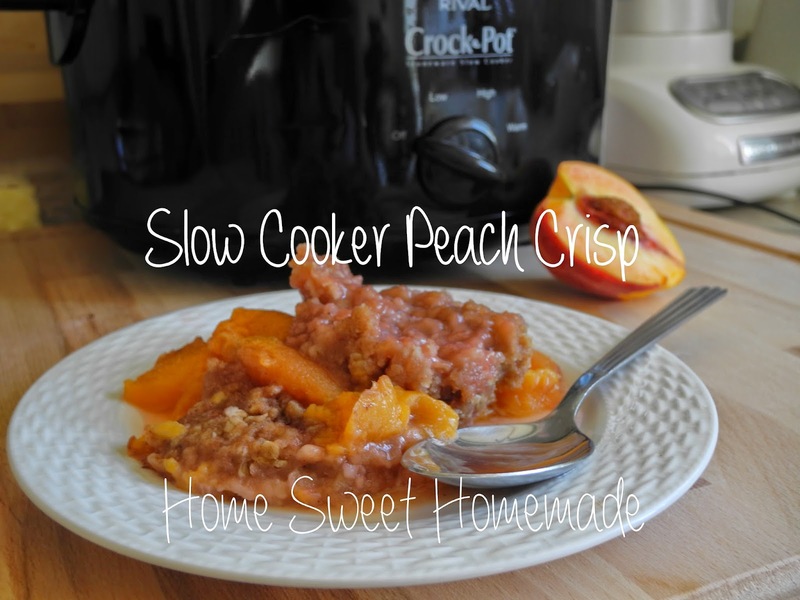 That's why this Slow Cooker Peach Crisp recipe is ideal; I get to bake with fresh fruit that's in season without using my oven! 1. Combine peaches and 1/4 cup sugar in a slow-cooker. 2. Combine the remaining ingredients in a separate bowl, mixing with a fork until large crumbs form. 3. Top peach mixture in the slow cooker with the crumb mixture. 4. Place a paper towel over the opening of the slow cooker before placing the lid on. This will help absorb excess moisture while cooking. 5. Cook on "High" setting for 2 hours.